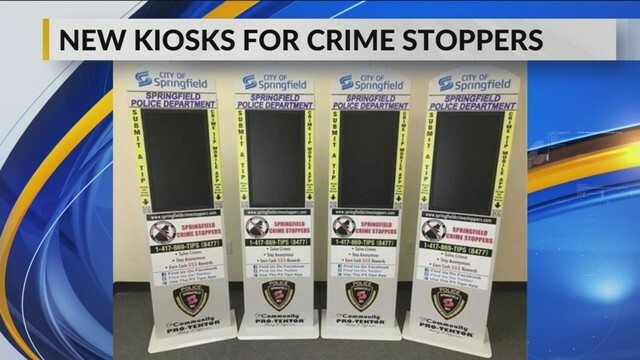 Springfield PD (8/21/18) - The Pro-Tektor®, Inc.
SPRINGFIELD, Mo- The Greater Springfield Crime Stoppers program is unveiling four new informational kiosks this week. The kiosks will display Amber Alerts, wanted fugitive features, arrested posters, special features, SPD recruiting information, and general Crime Stoppers program information. The kiosk decals highlight where community members can go for additional information and include QR codes that can be scanned for easy access to the tip submission form and the Crime Stoppers website. Although tips cannot be submitted directly at the kiosk, tip submission is simple to complete on your cell phone or tablet after scanning the QR code or utilizing the Crime Stoppers website.